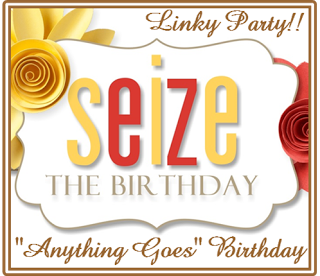 Hello my faithful followers and friends, It’s time for our monthly Anything Goes with No Topping @ Seize the Birthday! I decided it was time to get out my Favorite Paper Smooches stamp set (Positive Strokes) and Painter’s Palette die ( also Paper Smooches) and get to work. I paired them up with a birthday die and scalloped stitched rectangle die from MFT. The bold Happy is from Neat and Tangled. This card was so much fun to put together. I sure hope you will join us at STB sometime during the next two weeks! All you have to do is make it a Birthday Card! Easy Peesy right? While your over at STB… check out the DT creations and our New Surprise Party Guest Anita Bowden. Welcome Anita!! She will be with us the next two months! Categories: Cards | Tags: Card making, Cards, Happy Birthday, my favorite things, Paper Smooches, rubber stamps, stamping | Permalink. That is a great card. Awesome theme and wonderful colors too. Great for an artist! This is so fabulous and clever! I love everything about it! Such fun colours & layout. The paint brush? Perfect. 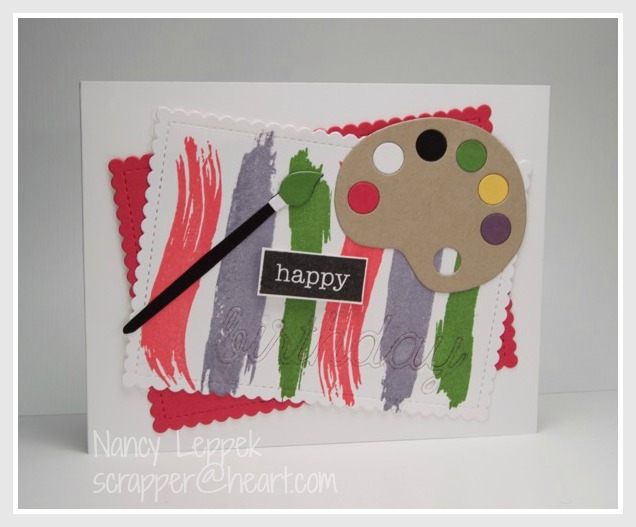 Love the design and colors in your card. Very creative. Ah, what a colorful card! Perfect layout too! Oh I adore this artistic card! Great stamps and dies! Hey, look at me, here I am, on your Blog…..and I have no issues! Yippee and Yahoo! This is super fun! Love the fun design and colors. Nancy this card is so much fun to look at! Love the brush strokes and cute palette. Wow, I love your card! Fun background, awesome colors and wonderful design! So fun and creative!